The Out of Africa Campaign Charities page showcases some of the charitable work being done by former and current African footballers who have played in the UK, as well as other organisations using football as a tool to raise the aspirations of young children from disadvantaged circumstances in Africa. Despite the discovery of large oil and gas reserves, vast parts of Algeria are deeply immersed in poverty and more than 50 per cent of the country's rural population live below the national poverty line. Poverty translates into a lack of access to decent housing, sanitation facilities, education and medical infrastructure for hundreds of thousands who are struggling on the bottom steps of the socioeconomic ladder. Algeria is home to roughly 550,000 orphaned children who have lost either one or both of their parents. A large number of these children grow up without parental protection and care or in dysfunctional family structures. High unemployment and comparatively high school drop-out rates among the country's children means that young people often leave school without adequate skills or qualifications and face bleak prospects for the future. SOS Children has worked in Algeria since 1981. The SOS Children's Village in the capital Algiers provides a home for some of the city's many orphaned children and young people. Here, they find a new home and family headed by SOS mothers. For older children, two SOS Youth Homes provide 80 young people with the opportunity to develop the skills they need for an independent life. The charity’s SOS Family Strengthening Programme provides vital support to local families so that they can improve their living standards and are better able to support their children. The Shoot for Boots for Africa Campaign was born out of the Shoot 4 Boots project which has been run by Centre Spot since 2008. The idea for the project was from Centre Spot Director, Manny Abbeyquaye. Centre Spot is a grassroots community organisation that works with young people to identify new ways of engaging with them. Shoot for Boots for Africa was launched in 2011 with the first visit to Ghana. The aim of Shoot for Boots for Africa is to collect used football boots from Schools, Local Football Clubs, and Professional Football Clubs. The boots are then reconditioned and redistributed to disadvantaged young people in Africa, through a series of coaching Fun Days and workshops. So far over 200 young people in Africa have benefited from football boots and equipment, with a further 20 coaches having received training so that they can carry on the good work and build on the foundations laid by Shoot for Boots for Africa. 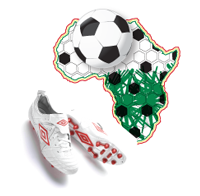 The Shoot for Boots for Africa mission is to provide used football boots and sports equipment to the most disadvantaged young people in Africa. The John Utaka Foundation was set up by John Utaka. John Utaka is a Nigerian footballer who played as a striker for Montpellier of Ligue 1. He previously played for Portsmouth, between 2007 and 2011. Utaka launched his foundation in 2010 and began in Enugu, a coal-mining town in southern Nigeria. The foundation aims to provide education through scholarships for young people who cannot afford it, including activities and support to stimulate young people's development through arts, culture and sports. It also provides work placements in Nigeria and abroad enabling the young people to gain accredited training and vocational skills through international partners. The foundation also aims to alleviate poverty through the provision of basic amenities such as water, food and medicine to the less fortunate. In addition, the foundation provides grants and working partnerships with registered charities which help disadvantaged young people to play a fuller role in communities throughout UK, Nigeria and overseas. The mission is to help educate and empower the youth of today within marginalised communities for a better tomorrow. 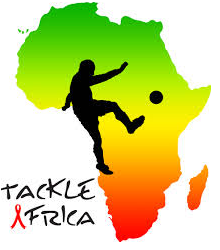 What we do involves two of the most important things in Africa: HIV and Football. Almost everyone in Africa is affected by HIV and AIDS. Young people are particularly vulnerable. Football in Africa is incredibly popular and a great way of engaging with young people. We use football coaching to educate young Africans about sexual health, relationships and HIV. Specifically we teach young people how to avoid getting HIV, how to live with HIV if you have it, and how to support others to do the same. All our education is done on the pitch through unique interactive football drills, so young people enjoy, understand, learn and remember. 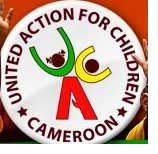 United Action for Children is a child and youth centred organization operating in Cameroon. Its mission is that of developing a caring and sustaining society for children and young people through innovative programmes. Within its sports programme, United Action for Children (UAC} operates and runs a Community Sports for Development Programme. Under this programme, UAC uses the power of football to mobilize children and young people channel their energy towards productive initiatives. It uses football as a tool to combat HIV/AIDS, remove children from the streets and place in schools and training institutions among others.